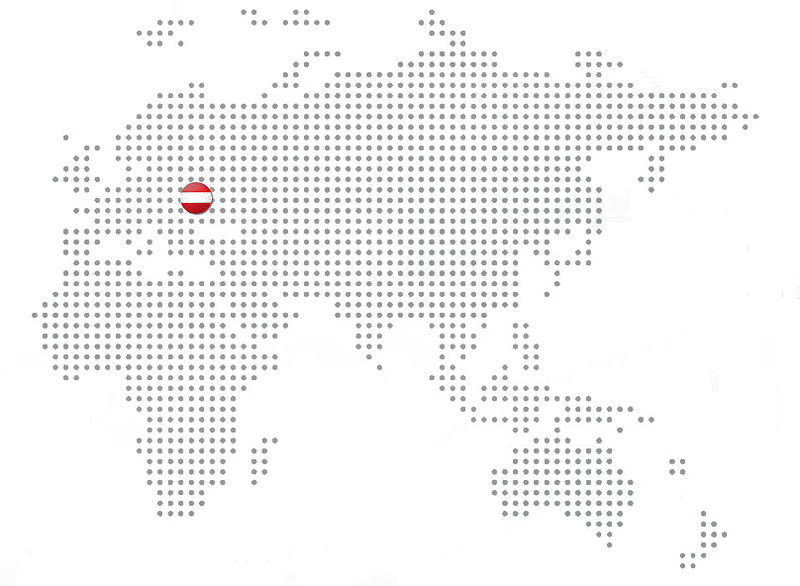 We inform you gladly, that at the beggining of the April, our company Lubandy.Logistic.Services moved the headquarters to the Vienna. We look forward to working with you in our new Office! We are pleased to announce that our company LLS Austria celebrated the 10th anniversary this year! 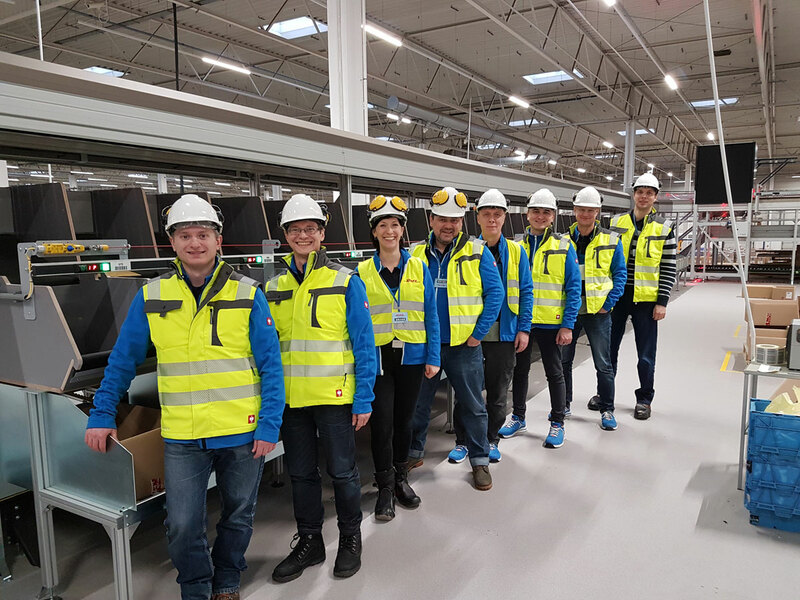 Together with our engineering team from LLS Kiev, we took the opportunity to celebrate this excellent occasion with our customers while visiting selected automation projects in Poland, from 10 to 14 December 2018. 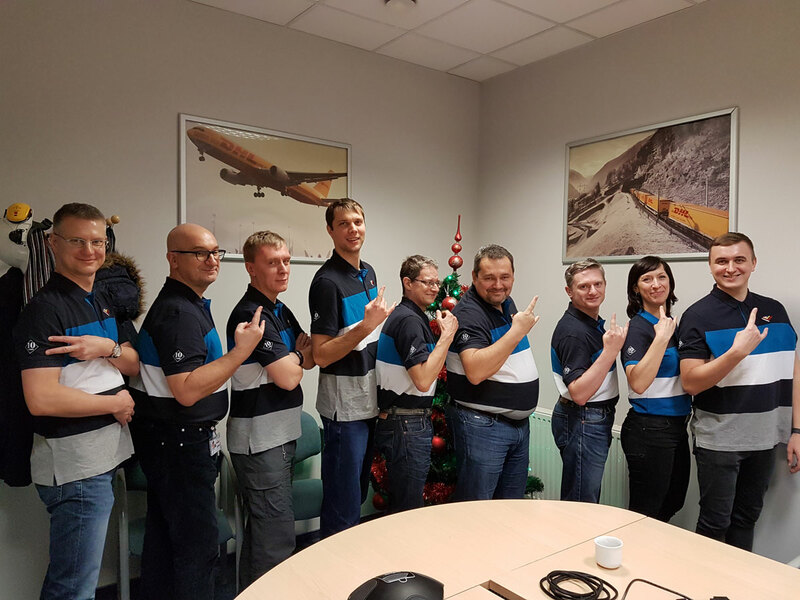 The celebration of our 10th anniversary was also a great chance to spend time with our LLS teams from Austria, Poland, and Ukraine in order to exchange experiences from different markets and to strengthen the bond between employees. The outstanding atmosphere during the meetings confirmed our deep belief that teamwork and good relationships with our customers are the keys to our success. I would like to thank all the participants - our customers and the employees of LLS! We inform you gladly, that our company Lubandy.Logistic.Services opened a new representative office in Tashkent since August 2018. 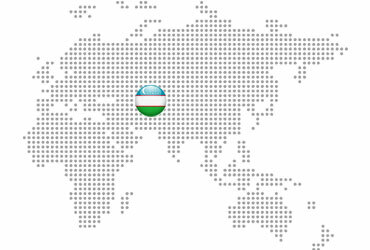 Our official representative in Uzbekistan is Mr. Alexandr Khegay. On 14th of June our company once again had the pleasure to lead the workshop as part of LogDays 2018 organized annually by the editorial team of "Logistyka a Jakość" and "Nowoczesny Magazyn". The topic of this year's workshop was: "From planning through implementation to the final effect - what mistakes not to make in order to make the warehouse automation fit for the actual needs". 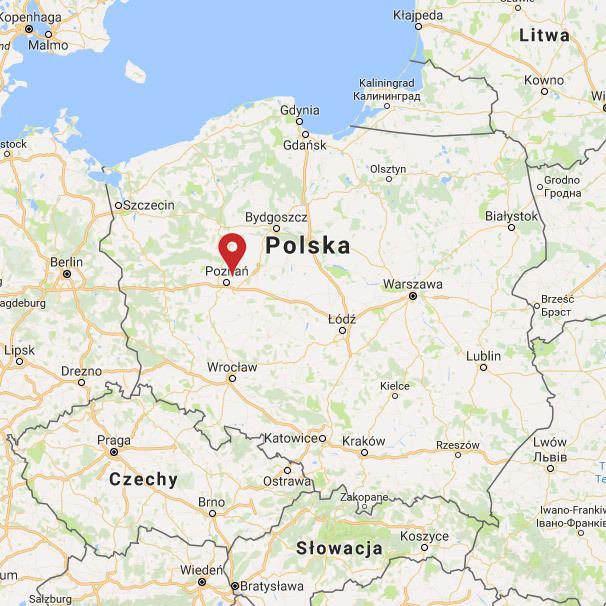 We would like to inform you, that on 1st September our new company in Poland has been officially opened: Lubandy.Logistic.Services Polska Sp. z o.o. 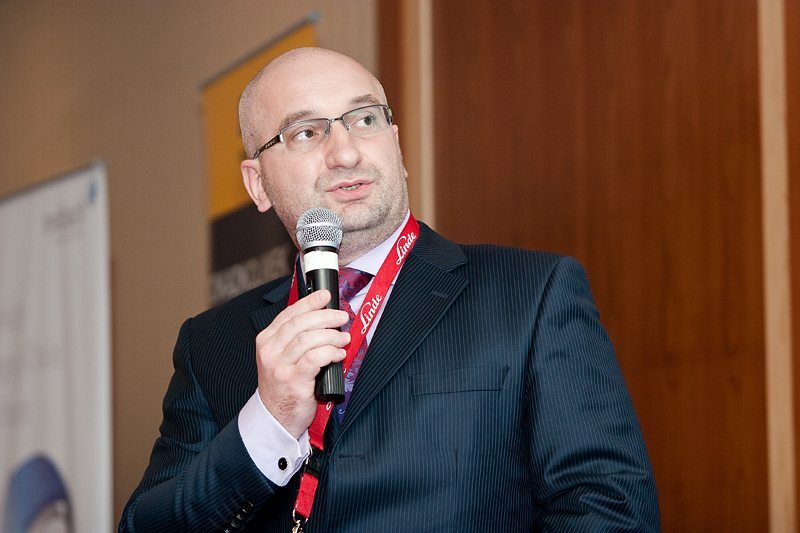 New Polish team will take over the Project Management and implementations. From now on our Polish Clients get direct project support. We'll be happy to see you at our new office near Poznań! Today our company took a new step forward in the digitization of logistic projects. 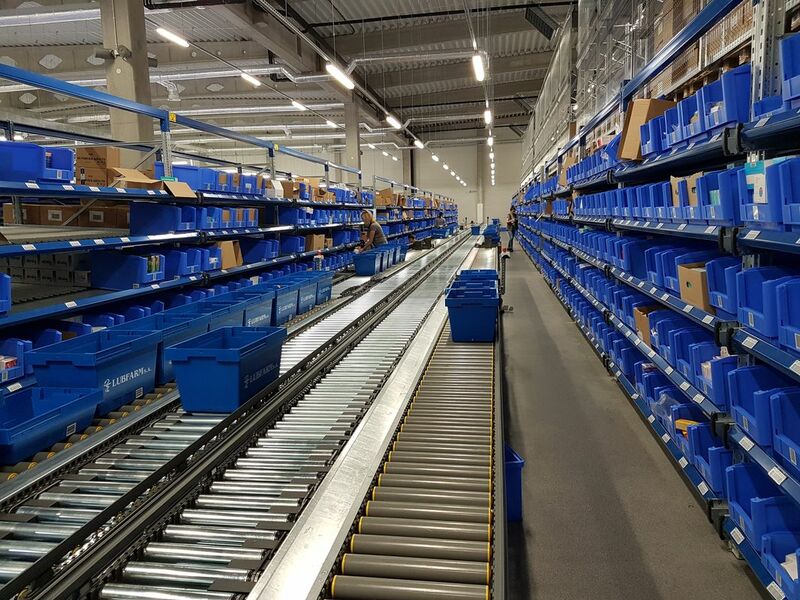 From now on, our customers can experience their new warehouse before it's ordered - by using virtual reality. The DEMO3D models can be translated into a special software VR module creating a virtual warehouse. You can enter and navigate the virtual warehouse to see the complex operations and test how they behave and interact with live models. Last week, our company extended its competences in the field of data analysis. New competences may be used in the logistic planning of distribution. Owing to specialized software – UMBERTO NTX, we are able to present diversified commodity streams inside a warehouse in a structured and graphic manner, logically connecting subsequent process steps and at the same time to examine its efficiency in the function of quantitative distribution value. 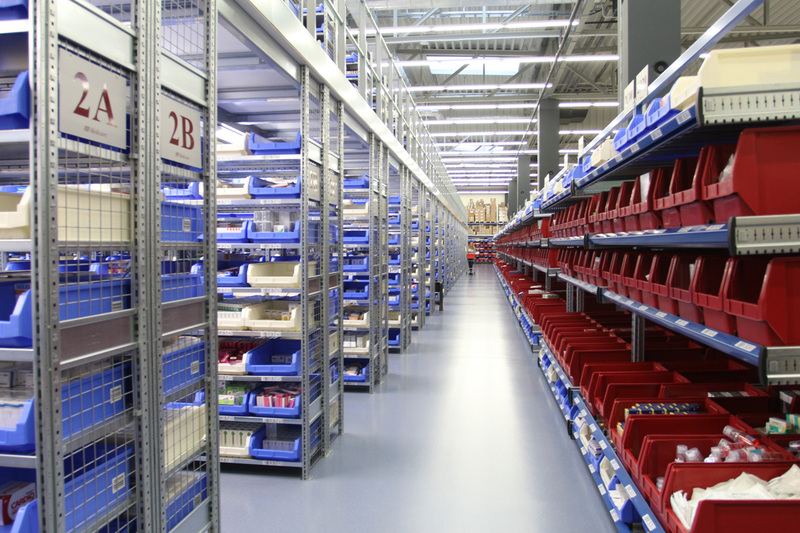 The collected information is helpful in warehouse optimization. The tool enables us to generate results both in the form of graphic Sankey diagram and the result tables including the possibility of processing data in a data base or spreadsheet. Data packages created in this way can be used in auditing, organizing or planning the warehouse. Due to organizational reasons, our presentation was conducted via two channels of communication: a direct one performed by the representative of our company on the Russian market, Dmitriy Litvinov, and as a video-call directly from our logistic consultancy office in Austria. Thus, we were able to answer all the questions, even about logistic planning or automatics of warehouse immediately and competently. On 4-8 April 2016, Lubandy.Logistic.Services participated in the presentation of Austrian companies potential, so-called AUSTRIA SHOWCASE, held by the Chamber of Commerce of the Republic of Austria in Kazakhstan. 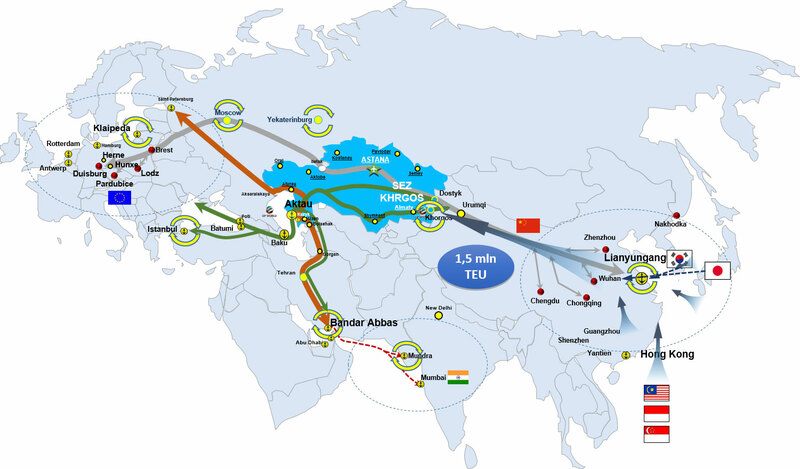 According to the agenda of the visit, meetings with representatives of the Kazakh State Railways and logistics companies building logistics terminals on the so-called “Silk Route” were organised. During this event, our company took a decision about cooperation with a local representative, Mr Waleri Pogrebnoi, who has been our business partner for years. On 19 October 2015, Lubandy.Logistic.Services participated in an economic mission conducted by the Chamber of Commerce of the Republic of Austria and Azerbaijan in Baku. The agenda of the visit included B2B meetings with prospective customers. As a result of the conducted negotiations, our company signed a contract for provision of a logistics audit in one of the largest distribution centres of food products of Veyseloglu Holding. On 15 October 2015, companies Logisys and Lubandy Logistic Services, has prepared the Jubilee seminar: logistics Projects – exchange of experience: "Small is beautiful - the implementation of efficient logistics solutions in medium-sized distribution warehouse". It was a closed meeting for people from our business environment, the aim of which was o exchange experience and inspiration, related to the importance of logistics for the whole enterprise. By the way, we were also able to to celebrate 10 years of Logisys and 7 years of LLS, thanks to the kindness of our host company MEDICARE. Dear partners. We inform you gladly, that our company Lubandy.Logistic.Services opened a new representative office in Istanbul since August 2015. Our official representative in Turkey is Mr Görey Bayındır. Dear partners. We inform you gladly, that our company Lubandy.Logistic.Services opened a new representative office in Moscow since February 2015. Our official representative in Russia is Mr Dimitri Litvinov. Will be happy to greet you at our new office! On 7th and 8th of October, 2014 logistic managers met in Warsaw (Poland ) to the "XI FORUM Polskich Menedżerów Logistyki POLSKA LOGISTYKA" congress which for the eleventh time takes place and was organized under the management of the magazine "Puls Biznesu". Company LLS was invited as a performer with the presentation of the project: "When automation project is needed?". Additional to the congress, visitors was invited to participate into networking sessions, which was a good opportunity to change opinions and experience. 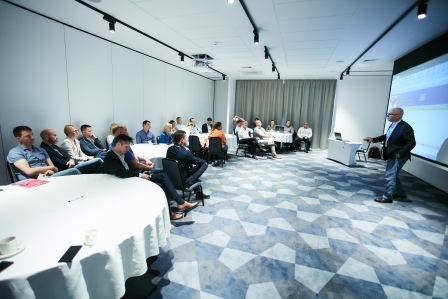 On 4th and 5th of June, 2014 logistic managers and professionals from the industry in Poland met to the "LogDays 2014" workshop which for the third time takes place and was organized under the management of the magazine "Nowoczesny Magazyn". Company LLS was invited as a performer with the seminar "Most popular automatic solutions in Poland" and "ROI economic viability of an investment". On 13th and 14th of November, 2013 logistic managers met in Warsaw (Poland ) to the " MODERN WAREHOUSE 2013“ congress which for the fifth time takes place and was organized under the management of the magazine "Nowoczesny Magazyn". Company LLS was invited as a performer with the presentation of the project: "RFID supported Track & Trace system for pharmaceutical wholesalers“. Additional to the congress, visitors was invited to participate into networking sessions, which was a good opportunity to change opinions and experience. 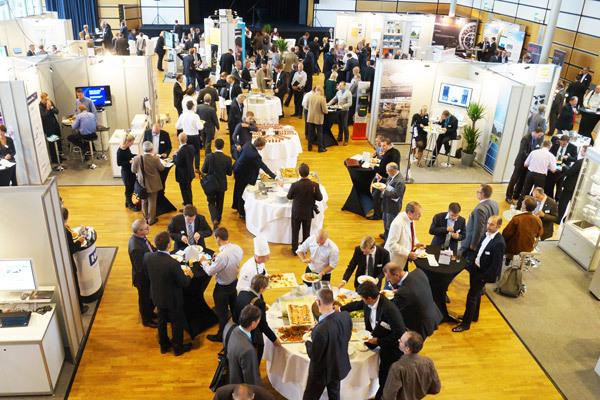 On 10th of September 2013, RFID enthusiasts, practitioners und suppliers met in Düsseldorf (Germany) to the "RFID congress 201" which for the third time takes place and was organized under the management of the magazine "RFID im Blick". Company LLS was invited as a performer with the presentation of the project: "RFID supported Track & Trace system for pharmaceutical wholesalers“. Additional to the congress, visitors was invited to participate into speed-lab presentations. On 15th and 16th of May, 2013 the leading logistic managers in Poland met to the "LogDays 2013“ workshop which for the second time takes place and was organized under the management of the magazine "Nowoczesny Magazyn". Company LLS was invited as a performer with the seminar „ Balanced Scorecard in the logistics “. 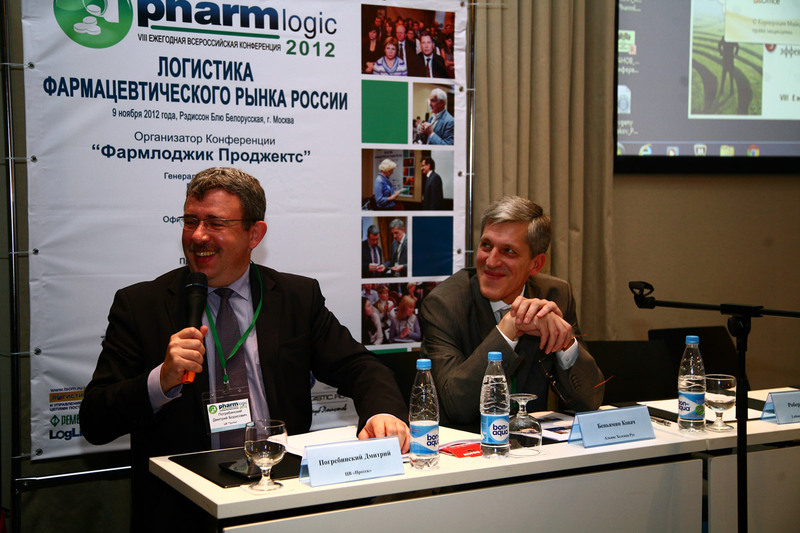 More than 80 companies were participants in conference "PharmLogic 2012" on 9th November 2012 in Moscow. Among them was represented our company “LLS" and main director Robert Lubandy made a report on theme “RFID supported Track & Trace system for pharmaceutical wholesalers". 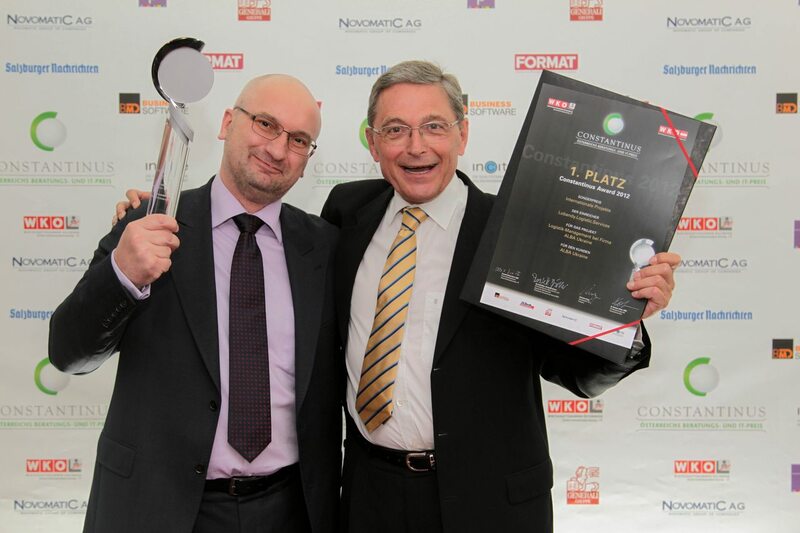 The company ‘LLS’ has been honored on the 14th of June 2012 with the Constantinus Award 2012 in the category “foreign projects”. The Constantinus Award is awarded since 10 years in the IT and consulting business, for the best projects. With the project “Logistic management at ALBA Ukraine” we could convince the jury. More than 3 years of hard work with the client was worth it. We are very proud! 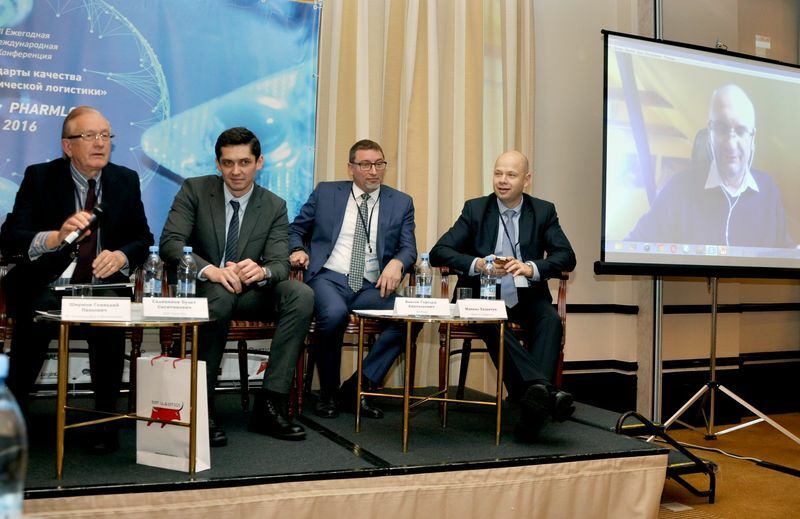 Conference "KPI like a tool of improvement of the business and increasing of logistic efficiency"
Company ‘LLS’ participated in annual forum “MODERN WAREHOUSE 2010”, which took place in Warsaw. Forum gave an unique opportunity for best representatives of this field to meet and get answers to such important questions as: "Universal warehouse = ideal warehouse?"